Agroforestry is the agricultural practice of combining the management of annual crops and/or animals with trees. Agroforestry systems, largely composed of perennial crops, offer the resilience needed to address extreme climatic issues such as drought and torrential rain, along with social and economic factors that influence agricultural production of small-scale farmers. 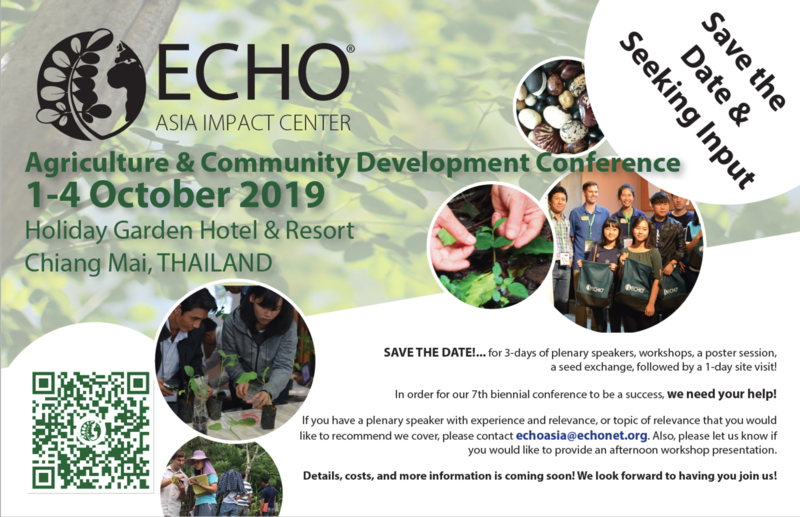 This five-day course will introduce students to key agroforestry concepts, allow them to see the various agroforestry and perennial cropping systems at ECHO, and provide hands-on experience in agroforestry. A few of the agroforestry systems that will be included in the course are: Food Forests, Farmer Managed Natural Regeneration, micro-woodlots, Home gardens, and Sloping Agricultural Agricultural Land Technology (SALT).